The Victoria and Albert Museum's new exhibition on the glamour and style of the ocean liner era opened this weekend in London, and a fascinating Cartier tiara is one of the items on display. 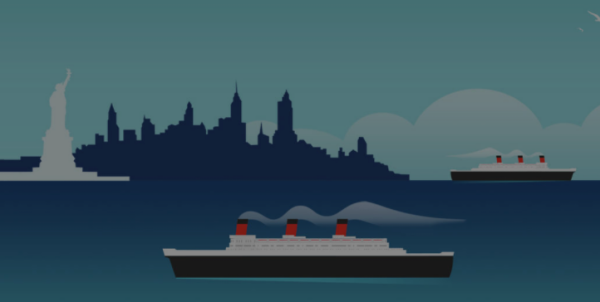 Ocean Liners: Speed and Style features numerous decorative objects from the era, including the diamond and pearl Cartier tiara that famously survived the sinking of the Lusitania in 1915. 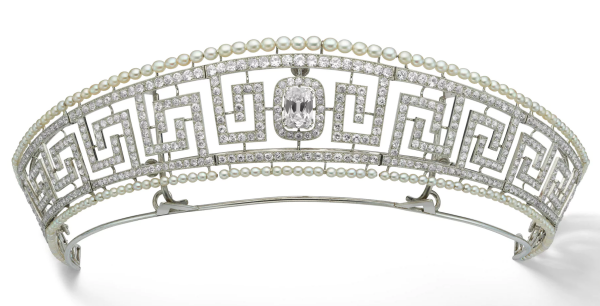 The meander tiara belonged to Lady Allan; the Guardian notes that "tiara was commissioned from Cartier in 1909 by the Canadian banker and shipping magnate Sir Hugh Allan, as a gift for" her. And now, you can see it in person during this special exhibition. The press information from the museum notes that visitors will "experience a unique journey through the design stories of the world's greatest ocean liners, including the Titanic, Normandie, the Queen Mary and the Canberra, and find out how these impressive vessels helped shape the modern world." The tiara is a fascinating relic of this glamorous -- and dangerous -- era of travel.